X-Kaliber 2097, released as Sword Maniac (ソード・マニアック Sōdo Maniakku?) in Japan, is a Super NES action video game published by Activision.The game takes place in the near-anarchic future of the year 2097, in which the world's economy has been devastated, governments have collapsed, and organized crime has gained dramatic influence. 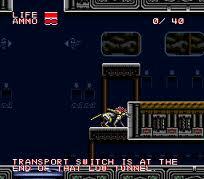 In X-Kaliber 2097, the player guides a swordsman named Slash through a side-scrolling environment. 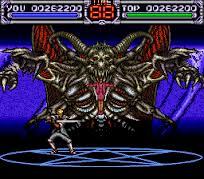 Boss encounters take place as one-on-one matches in the style of versus fighting games. 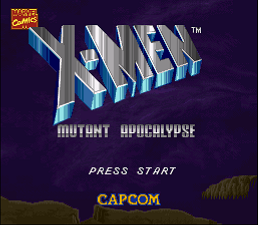 X-Men: Mutant Apocalypse is a side-scrolling action game released by Capcom for the Super Nintendo Entertainment System in 1994. The game is based on the X-Men comic book franchise and is based on the early 1990s X-Men animated series. It was the second game Capcom released based on the franchise, the other being a fighting game titled X-Men: Children of the Atom, also released in 1994. X-Zone (エックス・ゾーン?) 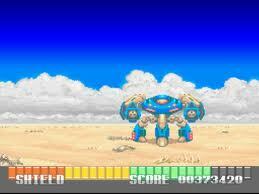 is a game released in 1992 by Kemco for the Super NES. It was one of the few games to support the Super Scope light gun. Xardion (超攻合神サーディオン, Chou Kou Gasshin Sādeion?, lit. "Super Attack God Xardion") is an action platformer video game where the player controls robots with different skills in order to defeat the enemy and reach goals.